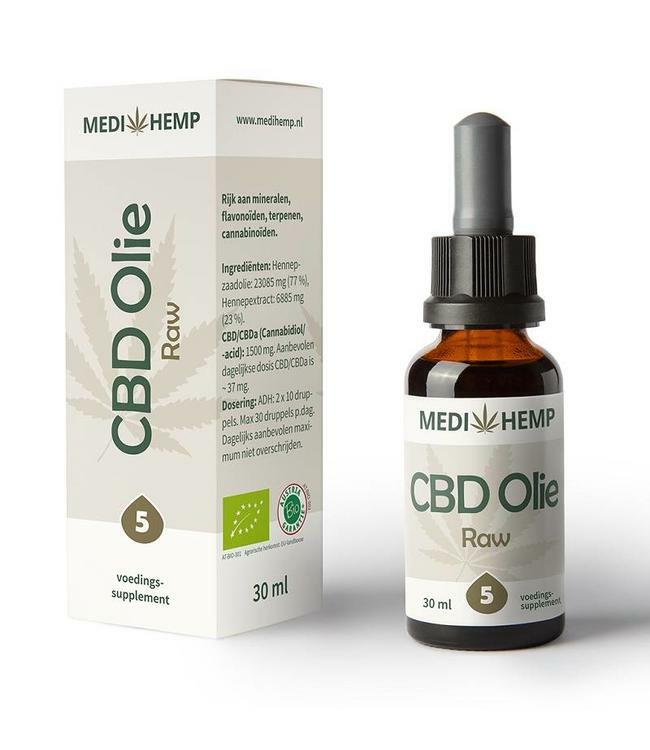 Medihemp CBD Oil Raw with 18% CBD / CBDa delivered in a 10ml bottle. Natural CBD Oil Raw, extract made with cold supercritical CO2 extraction. Everything from the pure raw plant. 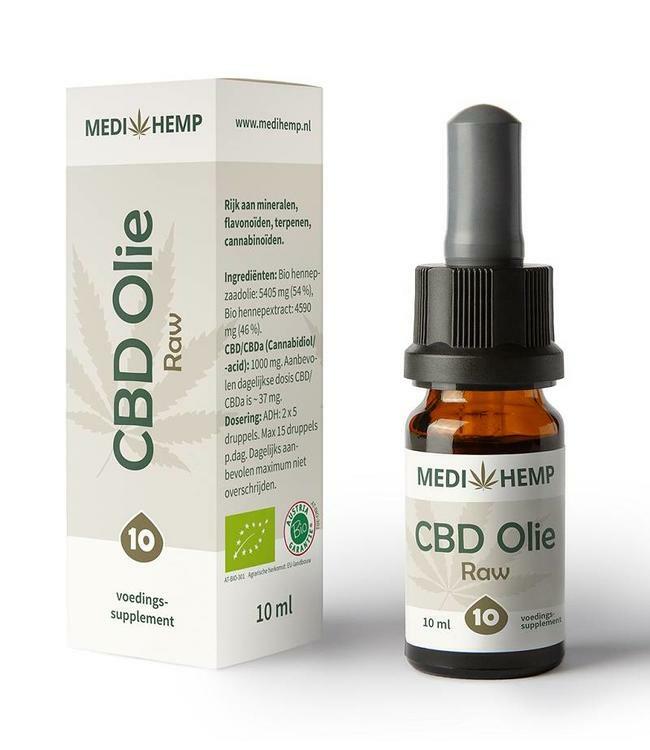 In addition to the 1800mg CBD and CBDA, Medihemp Raw CBD Oil also contains n Read more..
Medihemp CBD Oil Raw with 18% CBD / CBDa delivered in a 10ml bottle. Natural CBD Oil Raw, extract made with cold supercritical CO2 extraction. Everything from the pure raw plant. In addition to the 1800mg CBD and CBDA, Medihemp Raw CBD Oil also contains naturally occurring terpenes, flavonoids, phenols, CBG, CBN, CBC and hemp seed oil as a basis. MediHemp CBD Oil and CBD Capsules are among the most qualitative available in the Netherlands and even Europe. Medihemp products are manufactured with oil from certified fiber hemp plants. The plants are under own management at Medihemp's hemp fields in Austria. In this way they guarantee the organic origin and quality of the CBD products from the beginning to the end. Medihemp uses no pesticides or genetic manipulation in their production process. For this reason, Medihemp also bears the Skal Certification and the products are guaranteed 100% organic. Naturally, as it should be. 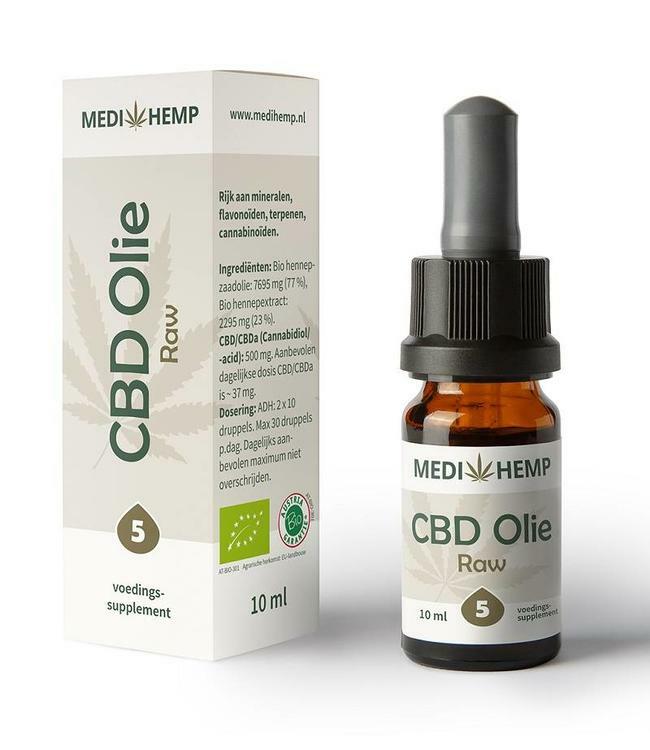 Medihemp CBD Oil Raw with 2.5% CBD / CBDa delivered in a 10m..